The European Parliament and the Council of the EU to review the proposal. The European Commission has proposed the European Parliament and the Council of the European Union to lift visa requirements for Ukrainian citizens, a document posted on the website of the European Commission reads. The commission gave a positive assessment last December, confirming that Ukraine successfully met all benchmarks under the Visa Liberalization Action Plan (VLAP). "Once the proposal will be adopted by the European Parliament and the Council, Ukrainian citizens with biometric passports will no longer require visas when travelling for short stays of up to 90 days to the Schengen area. The visa-free travel will apply to all EU Member States except for Ireland and the UK, as well as the four Schengen associated countries (Iceland, Liechtenstein, Norway and Switzerland). The exemption concerns only short-stay visas valid for up to 90 days of travel in any 180-day period for business, tourist or family purposes. The visa exemption does not provide for the right to work in the EU," the European Commission said in a press release. Other entry conditions for accessing the Schengen area will continue to apply, including the need to be able to prove sufficient financial means and the purpose of the travel, the commission said. 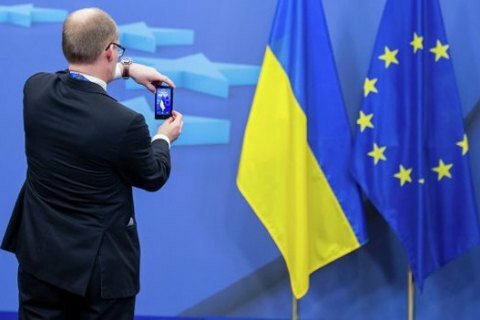 In March, Ukraine has fulfilled the last two EU requirements for visa-free regime - adopted a law on electronic declaration of incomes and launched the Anti-Corruption Agency.